Rosenberg-Richmond Helping Hands, Inc. is an Emergency Food Pantry and Clothing Closet. Founded in 1985 by local churches. Our Mission is to feed and clothe those in need in West Fort Bend County. Our goal is to provide assistance temporarily until the individual or family becomes self-sufficient. It is part of our Christian calling to minister to those in need. We are supported by donations of food, money and clothing. These donations come from churches, private individuals, civic organizations, private foundations and corporations. We are a Houston Food Bank Partner Agency. When funds are available, we purchase food items from The Houston Food Bank and other local suppliers . We also purchase undergarments and diapers. We are a founding partner of the Fort Bend County Collaborative Information System which helps coordinate care for the persons most in need in our County. Through this Collaborative we help to distribute school supplies, backpacks and shoes to low income students at the University of Houston Sugar Land Campus. Our third annual Back to School Bash is Saturday August 19th. Through this collaborative we collect new toys that are distributed usually Christmas Eve at 5 locations around Fort Bend County…. Santa Claus is Coming to Fort Bend County. The Population of Fort Bend County is growing very quickly. We have seen 11,950 persons January thru July, which is 3,700 families many of which need to come for our help each month. This number includes 679 sacks for our transient clients who can come receive a day’s worth of food twice a week. Helping Hands now has the blueprints to expand our current building by 20 feet. This will allow additional space in the Clothing Closet as well as additional refrigeration space in the Food Pantry. Helping Hands continues to work on creating a database to store client information electronically. The added building space will have an area dedicated to volunteer data entry. 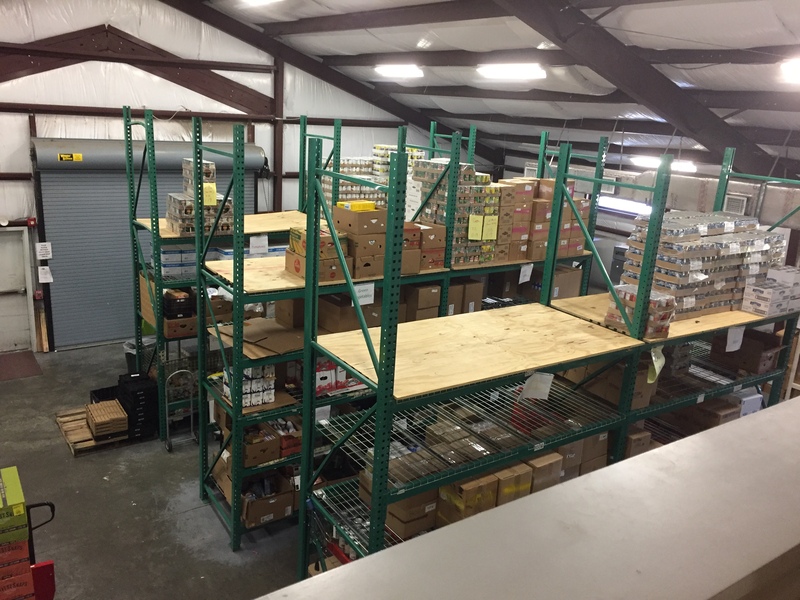 Rosenberg-Richmond Helping Hands is VERY LOW on food items, by summer the shelves become bare. We have seen almost an 11% increase of food requests so far this year. If this trend continues we anticipate serving 6885 food requests for 2017.